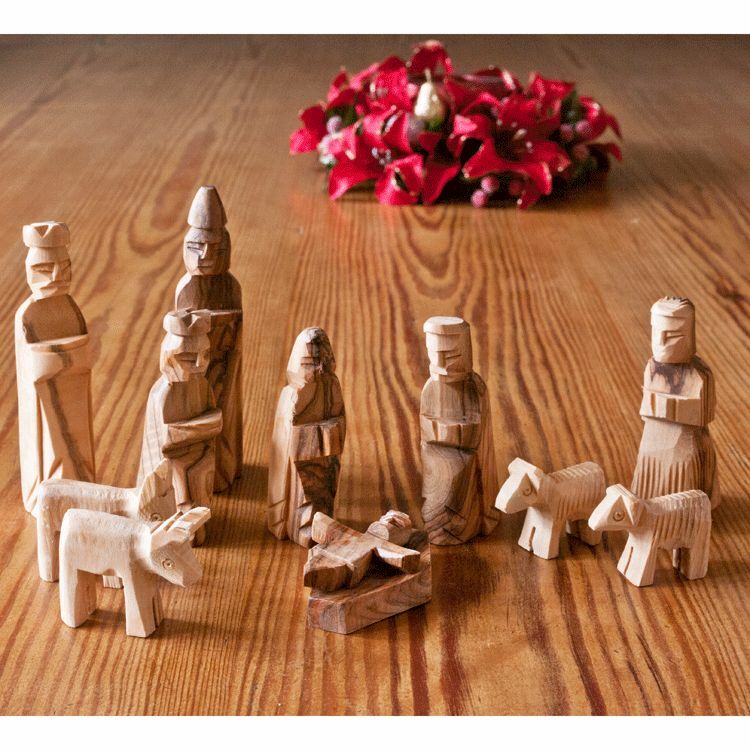 This rustic style Bethlehem Olive Wood Nativity set has 12 pieces and has been simply hand carved in Bethlehem by local artisans from Olive Wood grown in the local area. The pieces measure up to 8cm high. 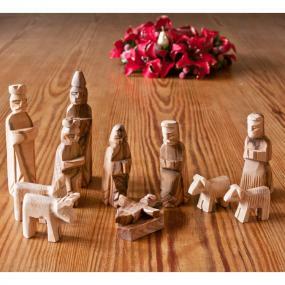 Pieces are ideal for a Christmas crib scene. An excellent, appropriate sized budget nativity set that works well in the home and empower indigenous crafts-people.